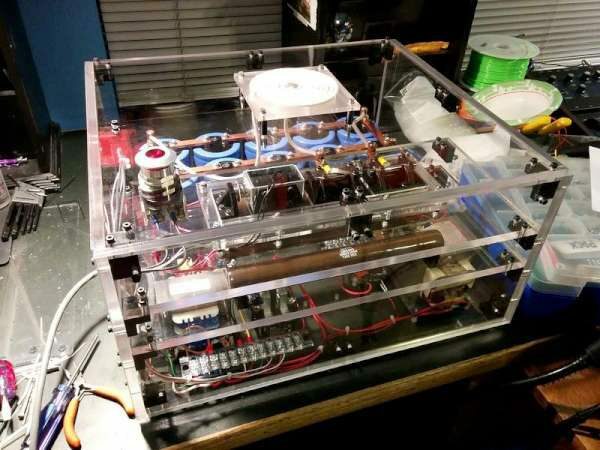 Project Hathor is a 2kV ring launcher, built for SYN Shop. It’s designed to launch rings, i.e. aluminum hard drive platters, by generating a large magnetic pulse. More details at Krux project page. The design files are available on github. This entry was posted on Wednesday, May 11th, 2016 at 3:45 pm	and is filed under DIY. You can follow any responses to this entry through the RSS 2.0 feed. You can skip to the end and leave a response. Pinging is currently not allowed.